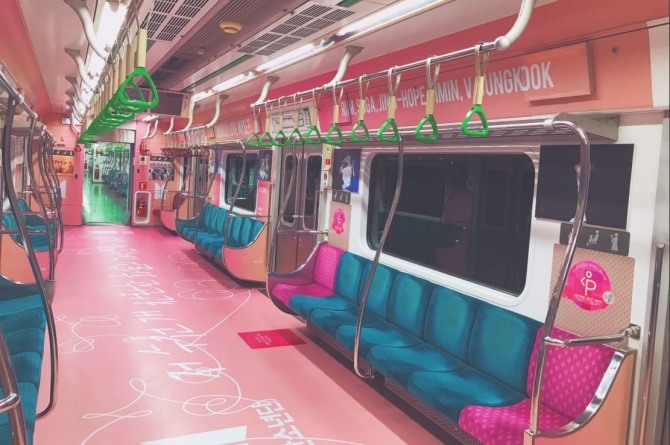 BTS fans have prepared a special gift to celebrate the coming year: a “BTS Train” on the Seoul subway. The fifth car of train No. 215 of Seoul Subway Line No. 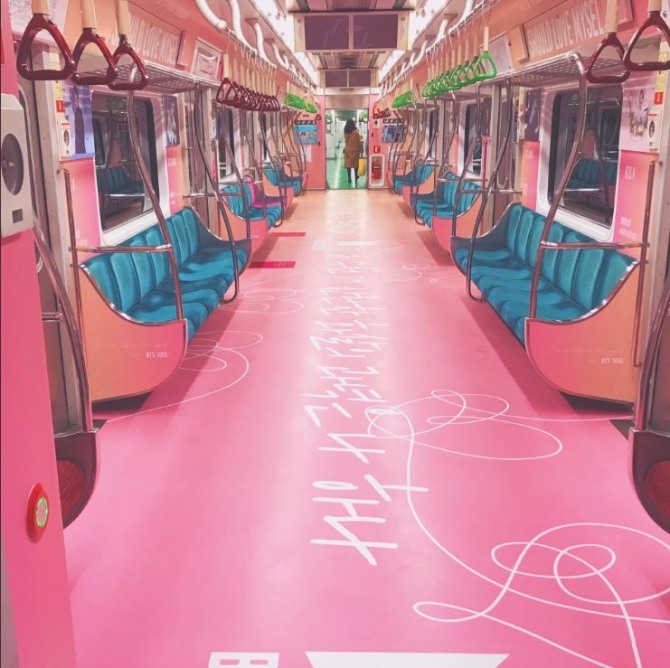 2 is the “BTS Train,” a collaboration between several BTS fan clubs. They reportedly prepared the event not only to wish commuters a happy 2019, but also to celebrate bandmates Jin and V’s birthdays. As the event started running on Nov. 30, fans who have had the chance to ride in the train car posted photos on social media. 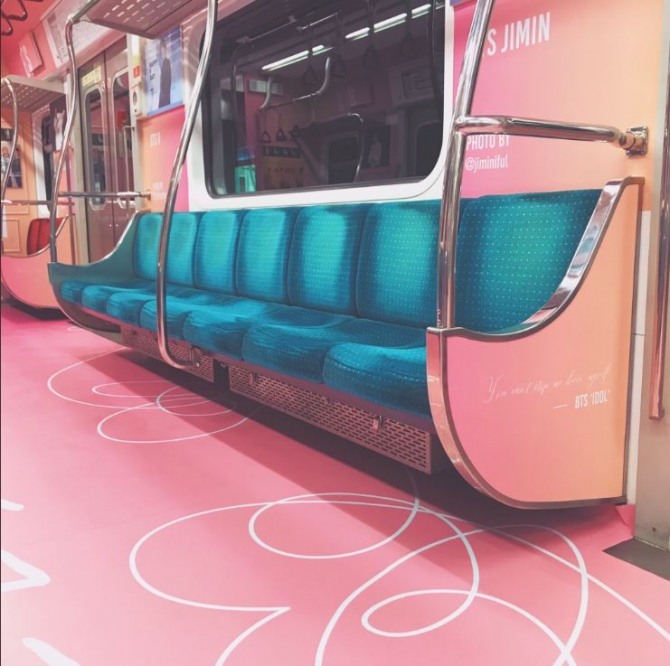 “BTS Train” runs until Jan. 3, 2019.